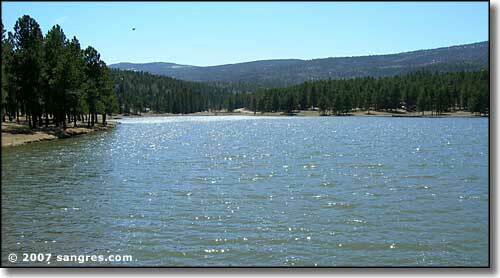 This area is world famous for the clear blue waters of the 2,200 acre Eagle Nest Lake and the trout and salmon that lie beneath the surface. 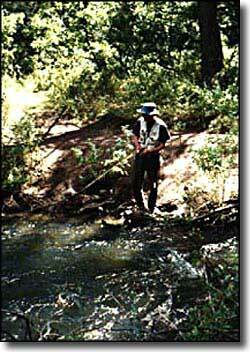 Stream fishermen will appreciate the fly-fishing opportunities of Cimarron Canyon State Park, where most of the white-water streams are designated "Special Trout Waters", meaning artificial flies and lures, preferably catch-and-release. Permits are required. 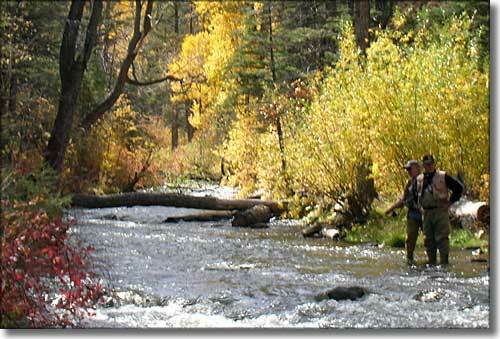 There are also numerous fishing streams, ponds and lakes in Carson National Forest. 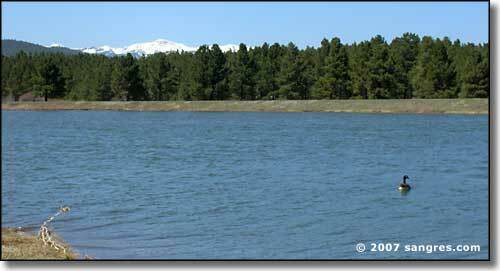 Some of the best pond and lake fishing is in Valle Vidal, a special unit of Carson National Forest. There is even a pond there set aside specifically for children to fish in. If you want to go beyond fishing and experience whitewater rafting, you came to the right place. North of Taos is the Rio Grande Wild and Scenic River area. West and south of Taos is the Rio Grande Gorge. North and south of Pilar is one of the most heavily trafficked stretches of whitewater in America. So within an hour you can be riding the whitewater wave of a lifetime in a place that looks to be out of this world. Photos courtesy of Paradox Web Resources, CCA ShareAlike 3.0 License.